Whether it's the industrious ant, the breathtaking Monarch butterfly, or the multi-legged centipede, children will discover the fastest, strongest, and most harmful species in Pocket Genius: Bugs. Profiling more than 200 insects and bugs, from beetles and butterflies to spiders and scorpions, find out what bugs eat, which are poisonous, which live the longest, and which can be found in your own backyard. 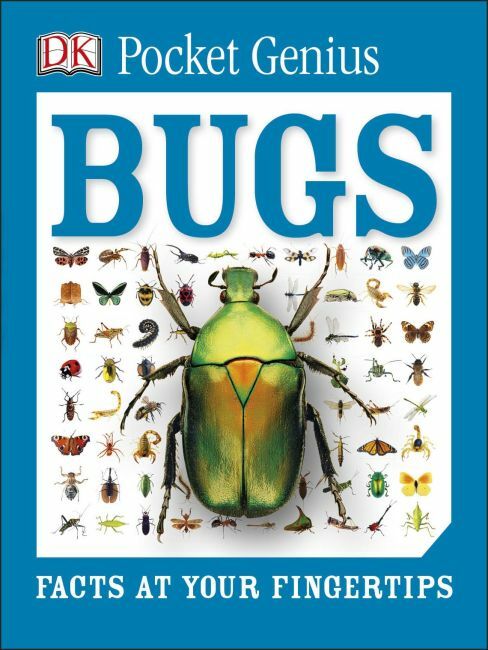 Plus, learn about the products we get from bugs, such as honey, ink, silk, and jewelry, and how bugs and insects play important roles in our world.